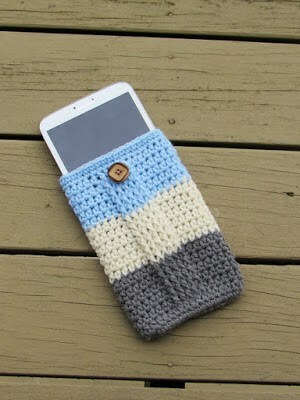 This is a very easy and quick pattern that can be customized for any tablet. You measure as you go making it easy to adapt to any gadget. 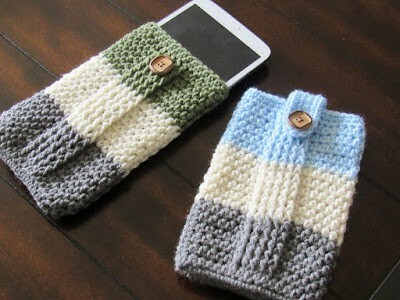 You can add as many colored stripes as you want or make it in one single color. Since I designed it for Father’s Day, I kept the look simple and elegant. 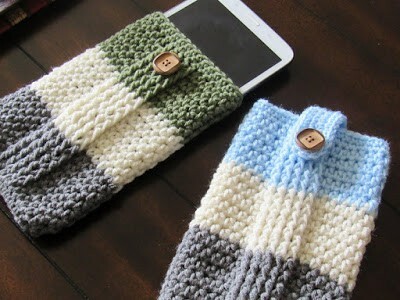 This would make a great project to use up those leftover yarn and I am sure will be a much-used gift. 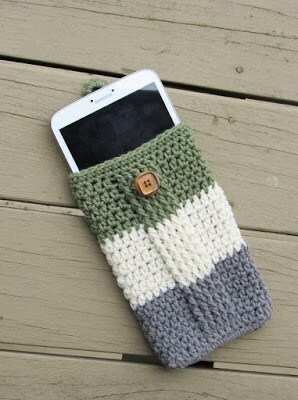 I have been using my phone cozy for over two years now. Comes out looking new every time I wash it. 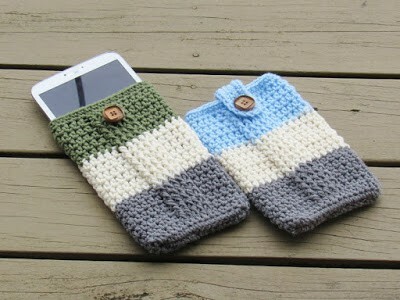 The pattern uses an H (5mm) hook with 3 shades of worsted weight, size 4 medium yarn. The crochet pattern uses half double crochet and front post double crochet stitches. You can find my tutorial on working a front post double crochet here: Front Post Double Crochet Tutorial. If you love it please share it using one of the social media buttons below, thank you!